Alcohol’s devastating impact on children and families has been revealed in a new report titled The Hidden Harm: Alcohol’s impact on children and families. Commissioned by the Foundation for Alcohol Research and Education (FARE), The hidden harm includes the most comprehensive findings to-date of alcohol-related family and domestic violence in Australia and presents a startling and confronting picture. Alcohol is involved in up to two of every three domestic violence incidents and as many as half of all child protection cases, depending on the state or territory. And while these harms are ‘hidden,’ in as much as this abhorrent behaviour often occurs in the home and behind closed doors, in many ways the title of the report is a misnomer. Because while these harms may well be hidden, these harms are not unknown. Not to the thousands of Australians whose lives are irrevocably damaged. Not to the victims involved in nearly 30,000 police-reported incidents of alcohol-related domestic violence, and that’s only in the states and territories that record such data. Not to the more than 10,000 children who are in the child protection system because of a carer’s drinking. Not to the police and emergency services who respond to calls of distress and witness the devastation first-hand. Not to the families and support service personnel left to pick up the pieces. Not to Australian media outlets, that with all too great a frequency report on the tragedies unfolding in Australian homes and throughout our communities. 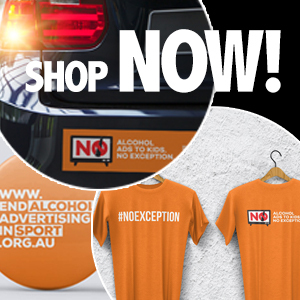 And not to my organisation, that brought this issue to the attention of governments in Australia five years ago with the launch of The Range and Magnitude of Alcohol’s Harm to Others. The world-first study looked more broadly at the impact of alcohol on those other than the drinker, including the harm from alcohol to unborn children and the alcohol-related violence in our streets and in our homes. And while these harms may indeed be hidden they can no longer be ignored. The issue of family and domestic violence has found itself, not before time, firmly on the national agenda. To its credit, the national media, and in particular, this very newspaper through its Shine a light campaign, has in recent times, done much to highlight this problem, to raise greater public awareness, and to keep the issue firmly on the radar of governments. Just as the broader issue of domestic violence must be discussed and explored and brought into the light, so too, this latest research must be discussed and promoted. 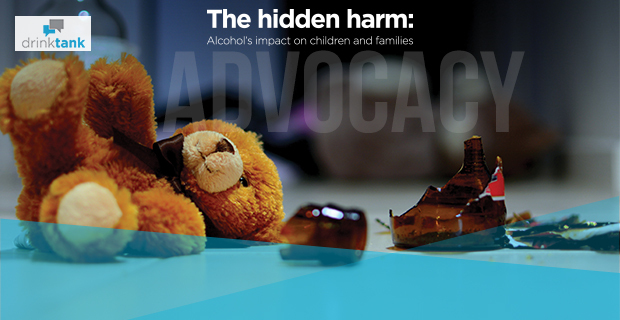 The Hidden Harm highlights the significant impact of alcohol on children and families. In releasing this research FARE recognises its responsibility to work to develop policy and program options that will help to prevent and reduce alcohol-related family and domestic violence. To that end, FARE has worked closely with the public health sector, women’s organisations, family services, the alcohol and other drug sector and universities to develop a comprehensive policy response. The policy options include a range of measures that focus on preventing such violence before it happens, intervening early to prevent further harms and ensuring there are adequate service responses for people most in need of support. The policies take a public health approach – an approach successfully and extensively used in the alcohol harm prevention field and one being increasingly applied to family and domestic violence frameworks. Such policy development is an important precursor to Government action. But it is not a replacement. Ultimately, discussion is not enough. To date, the Australian Government response to alcohol’s implication in family violence has been unacceptable and grossly inadequate. While we must all work together to bring this issue to light, Australian Governments, both State and Federal must first acknowledge the full extent of alcohol-related family and domestic violence in Australia. It has been five years since the landmark study, The Range and Magnitude of Alcohol’s Harm to Others altered the public’s understanding and framing of alcohol harms. Endorsed by the World Health Organization and since successfully replicated around the world; that study was revolutionary in as much as it ensured that the extensive harms to those beyond the drinker, the previously ignored ‘Harm to Others,’ was recognised as the $20 billion tragedy that it is. Yet the greater tragedy is that in the intervening five years, the findings from that landmark study have not driven a single alcohol policy change. As the evidence mounts, both of the extent of alcohol harm in Australia and the many sound and proven strategies for addressing those harms, it is now time for Governments to act. Governments in Australia must lead the way and take decisive action to prevent family and domestic violence before it occurs, to protect and support those in the community most vulnerable and to ensure that service responses and support for victims of violence are appropriate. Responding strongly to alcohol’s involvement in this national shame will surely contribute to further progress in reducing both the incidence and the severity of family violence in this country. This post first appeared in The Sydney Morning Herald and in The Age as ‘Alcohol-fuelled violence yet not a single policy change’ on 24 February 2015.